THP 4-13-011 KER (Bear Mountain THP) Sierra Forest Products, 1,250 acres; 82% selection, 18% sanitation salvage logging. 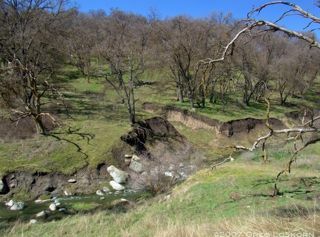 Orejano Canyon, Water Canyon Creek, White Wolf Ranch, Sycamore Canyon, Clear Creek (MD: T31S R31E Sec.21, 22, 23, 26, 27, 28). Winter operations, moderate erosion hazard, steep slopes up to 70%, CA condor sighting, elk sightings, scattered large trees. Estimated public comment deadline: 08/27/13. This THP is 11 miles NW of Tehachapi, CA and just south of Highway 58 near the community of Bear Valley Springs. Sierra Forest Products is planning a tractor based logging operation with some sanitation salvage to remove mistletoe infected and bark beetle infested Jeffrey pine and white fir trees. The THP area is centered on Bear Mountain at 5600 to 6900 feet, and contains Jeffrey pine, white fir, ponderosa pine and sugar pine. A local hunting club uses the area during deer season, and Rocky Mountain Elk are known to frequent the high meadows. The California Condor has been sighted in the general area near Bear Valley Springs. More information is available on the THP Tracking Center website.